Life is hard sometimes. Don't forget to smile! Send sunflowers to cheer up someone's day who could really use a lift. 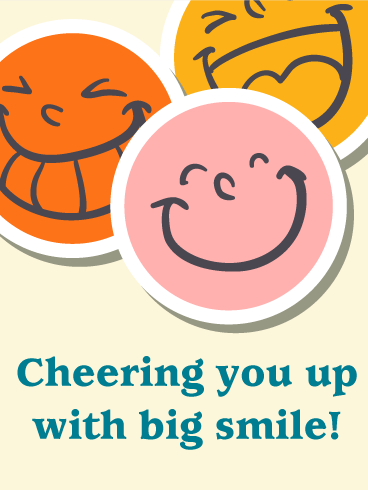 A happy cheer up card will brighten their day and remind them to smile. Cheer up! The sky is still blue above the gray clouds. Send encouragement with this happy greeting card. Three sunflowers stand tall in the ground to remind us to always turn our face to the sun. Smiley cards rock! No one can frown at a yellow smiley! This cheer up card offers encouragement and a great compliment. Tell someone they have a great smile. No matter how bad life is, there is always something to smile about. Why not send a bright and happy card to brighten their day? We all need kind words, and this Mr. Smiley card does the trick. I dare you not to smile! You can't do it! There is too much joy on this cheer up card! Give the gift of encouragement and good cheer with this awesome card. Let someone who is a little down and out know that you are thinking of them. Cheer them up with a big smile. 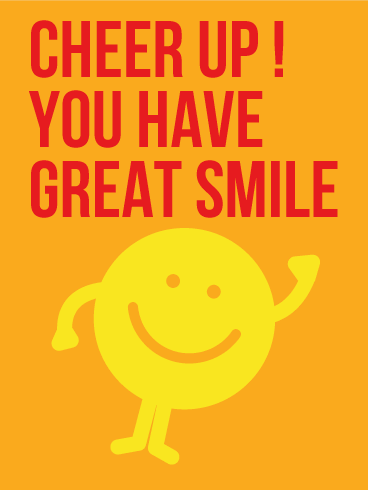 The smiley faces on this cheer up card are too cute, and will surely make you laugh. A kind word. A gentle touch. A bit of beauty. 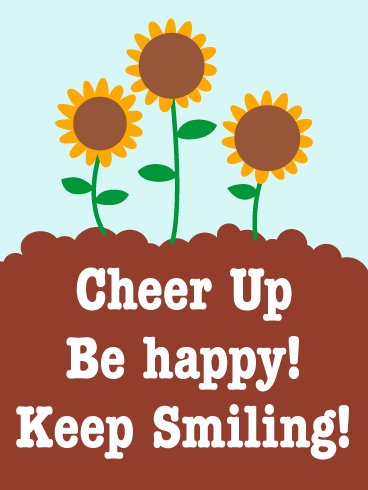 This thoughtful cheer up card will help cheer up someone who needs a lift. Beautiful flowers and butterflies provide a breath of fresh air to anyone who is struggling to remember how to smile. 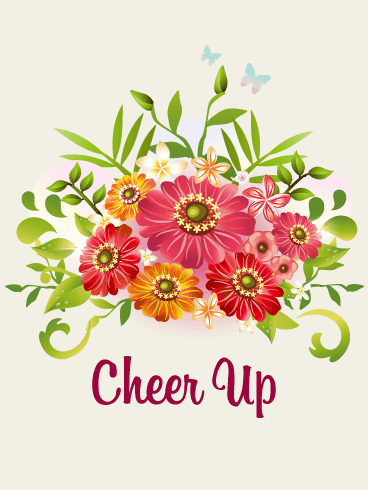 Help your friend or family out and send an encouraging cheer up card to brighten their day and remind that that you are thinking of them.